This May is full of great movie releases. New Disney’s upcoming thrilling, mystery-adventure film, “Tomorrowland” coming to the big screen May 22. From two time Oscar winner Brad Bird, “Tomorrowland” brings the story about former boy-genius Frank (Clooney), jaded by disillusionment, and Casey (Britt Robertson), a bright, optimistic teen bursting with scientific curiosity, who are bound by a shared destiny and embark on a danger-filled mission to unearth the secrets of an enigmatic place somewhere in time and space known only as “Tomorrowland.” What they must do there changes the world—and them—forever. I saw the first trailer in December 2014 and since that I am so looking forward to the movie. Besides the breathtaking action scenes (according to the trailers) so much dedication and persistence I wish our kids learned something inspiring while watching. 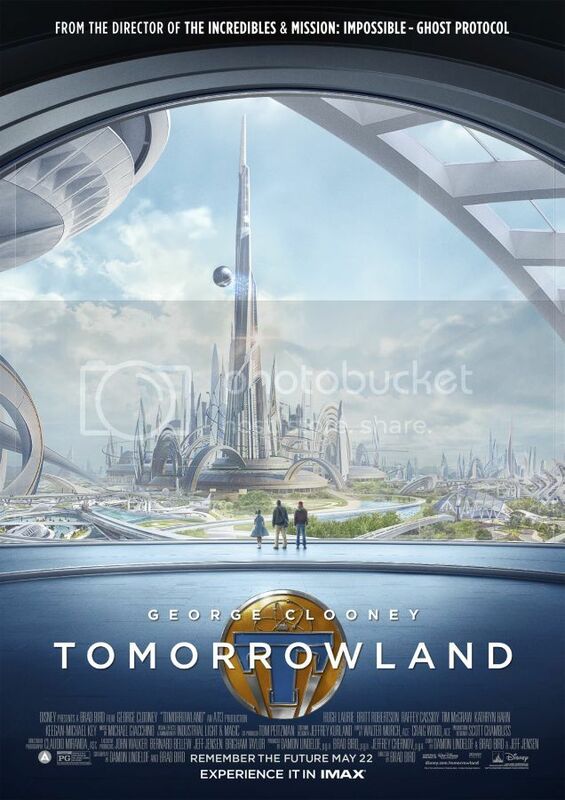 “Tomorrowland” opens in theatres on May 22, 2015. Simply fill the Rafflecopter from below stating your screening city and Good Luck! Seeing Tomorrowland with my family would be a great day! I'll get some precious time with my niece. Thanks. Would love to take my Niece or Nephew to see this. Would love to see this in Calgary please. Would love to see this in Vancouver :)!! No worries, Emily, I will add Waterloo as your screening city. I would like to attend in Toronto.